Is it even possible to have an associate pastor in the pulpit on Easter Sunday? Memorial Day weekend, Labor Day weekend and the Sunday between Christmas and New Year could all be labeled “Associate Pastor Sunday (APS).” As a former associate pastor I very much enjoyed the opportunity to preach. I was blessed to preach throughout the year and not just on those Sundays above (though I did many APS). However, I never had the opportunity on Easter. I’d guess that over 99% of our churches will have their senior pastor in the pulpit that day. I get it, it’s the SuperBowl of Sundays for the church. Naturally a lead pastor wants the opportunity to deliver the message, but it could prove to be a fantastic opportunity to send a different message. If yours is a church that values mentoring, discipleship and development of gifts and skills then having someone other than the senior pastor preach would send a very clear message that these are in fact your values! Did these same people hear you preach the same or similar message last year? 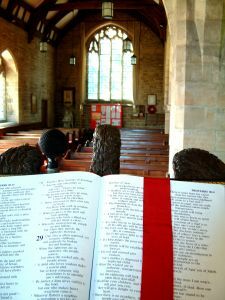 If the Easter sermon is about a clear presentation of the gospel, is there someone on your staff who would share that same message as clearly as you think you will? Perhaps there is someone on your staff that is quite-active/gifted in evangelism? If you were not the “upfront” person all service would you be freed up to enter relationship with those visiting? In addition, I think giving up the pulpit on Easter Sunday would send a pretty cool message to those you regularly shepherd the other 51 weeks outside of Easter. You’d model Psalm 78:1-8 (passing the teaching from one generation to the next, so they may pass it on, etc.). You’d clearly state that it’s the message that matters and not the messenger. You’d model to your staff that they too should be looking to shepherd others into using their gifts/skills. Of course there are many other benefits to think about as well, especially for the visitors that day, but I’ll leave these out there for thought and imagination! My prayer is that even one senior pastor will read this and instead of dismissing it as a rant of a former associate pastor they’d read this as a call from a congregant saying “I want to see us be more proactive in developing and releasing people for ministry!” Maybe a senior pastor WILL give an associate that Sunday. Perhaps a lead pastor will tag-team the sermon? …But then consider the potential ministry windfall! This is a really convicting and constructive idea. I like it not just because it would be an honor if it happened to me…but because it ties straight back to the Great Commission: Spread the Gospel and make Disciples. The gospel can go forward especially when people are willing to lose the attention they might get from sharing it. And discipleship happens when people let others grow from challenging responsibility. Any pastor interested in scaffolding an associate/elder to make an effective Easter outreach sermon is going to be making a correct priority of the gospel and discipleship. It’s a win-win! Interesting post, Brian. I think for some churches, the reason they have their Senior Pastor preach on Easter is that they want to give the truest representation of a typical Sunday for all the visitors. In our church, this is definitely the case. The other plus for us is that our Senior Pastor is the one most gifted in evangelism. Just another view! I think if an AP is the most gifted at evangelism, he should definitely be given that opportunity, though. Just FYI, I’m a senior pastor and I read this article! BTW, I’m not opposed to something like this either… I just don’t have any other staff to do it. Great food for thought, though.